A few weeks ago, I was out in the Dry Creek Valley for a couple of days. I stayed at Grape House, the wonderful Bed and Breakfast at Goodkin Vineyards on Dry Creek Road. 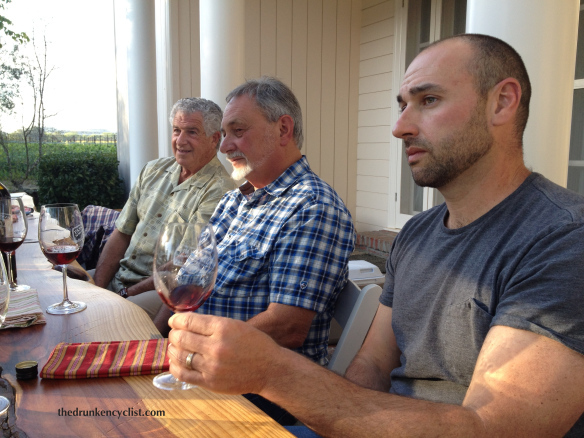 On my first evening there, Donald Goodkin organized a tasting with a few of the growers/vintners in the Valley. After we the introductions, it was time to get down to some tasting. The assembled crew had decided the best order to taste the wines that they had brought over with them. We first tasted through Erik Miller’s Kokomo Winery bottles, and then two wines from Gerry Pasterick and the Vineyard of Pasterick. 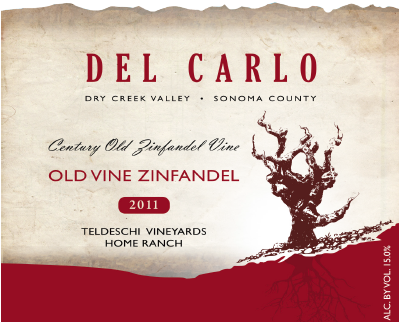 Following Gerry Pasterick, Ray Teldeschi of Teldeschi Vineyards and Del Carlo Winery brought two of his wines for us to sample. Before we got to the wine, Ray talked a bit about his winery, his vineyard, and his approach to wine growing. Up until that point, there had been a lot of banter, a bit of joking around, and some clever repartee. Once Ray began to speak, however, it got very quiet. It is conceivable that the diminished volume was due to the fact that Ray speaks rather softly—I doubt he is the type to talk over another in any circumstance. I believe, however, that the relative calm was born out of respect for a man who has spent his entire life in the valley, being a fourth generation wine grower. Don’t get me wrong, it is clear that Ray likes a good laugh, as he would laugh along with his colleagues when one of the more jocular participants would produce a witty quip. But Ray seemed to be more inclined to sit back and observe his friends and neighbors than to partake in the banter, which was underscored when he talked about his approach to farming. I imagine that Ray approaches his work with that in mind on a daily basis. He does not take me as the type of man who is easily flustered. In fact, I would be surprised if he gets flustered at all. 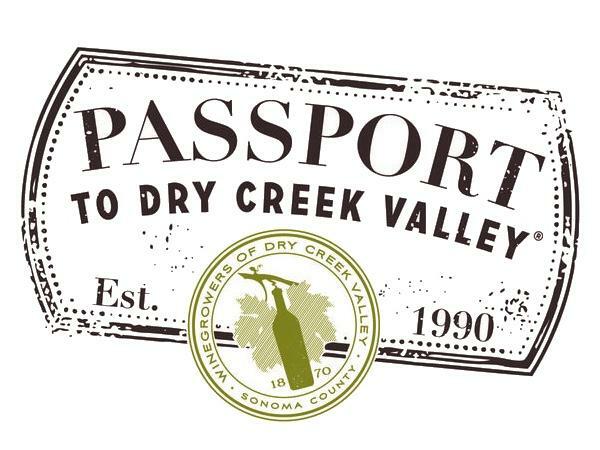 I have no doubt that part of his calm demeanor comes from experience—with his four decades plus of growing grapes in the Valley, he has no doubt witnessed the panoply of potential problems in the vineyard and is able to put it all into perspective. But beyond experience, there is a serenity to Ray that is hard to describe—even if he remains mostly reticent, you want to be near him, for when he speaks, you know it will be of value. 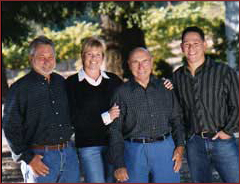 After farming the Home Ranch for four decades, Ray, along with his wife Lori and their son Marc, opened Del Carlo Winery. While they still sell close to 90% of the fruit from the vineyard, they keep some of the best fruit for their own label. In my previous article about the Vineyard of Pasterick, I attempted to delineate the parameters of “smallness” when it comes to the size of a winery. Generally speaking, anything under 8,000 cases produced is generally considered a “small” winery. 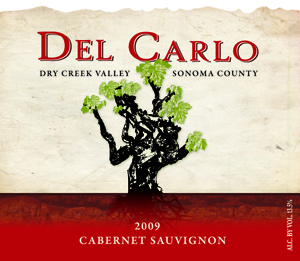 Del Carlo produces around 600 cases. That small size means that a lot more attention can be paid to the wine throughout the process, which certainly shows up in the bottle. 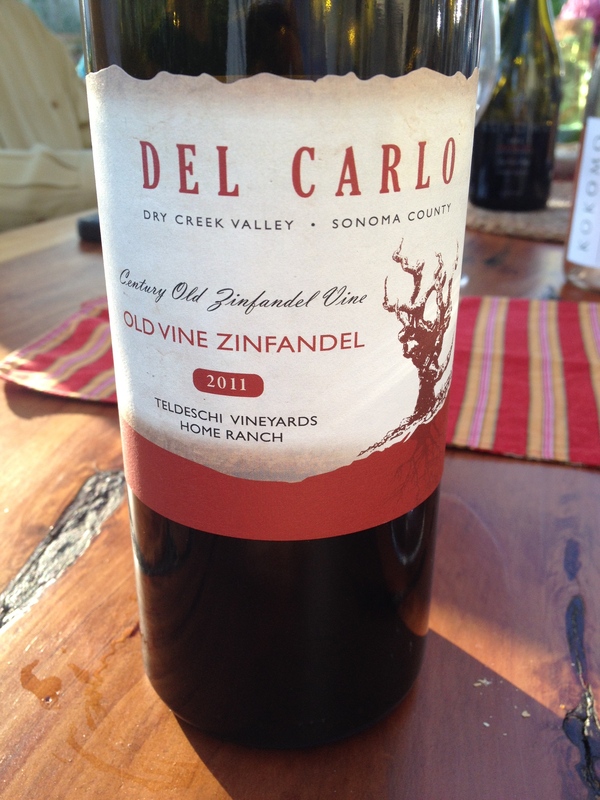 The first wine he poured was his 2011 Del Carlo Old Vine Zinfandel (Retail $32).90% Old Vine Zinfandel, 10% Old Clone Petite Sirah. 290 cases produced. All of the fruit comes from the Home Ranch, with much of it from vines that are over a century old. Ray added that at the time the vineyard was purchased, his father wanted to pull out all the Zin vines, but he simply could not afford it—resulting in many happy Zin drinkers in the seven decades since. The wine is aged for 10 months in American (Pennsylvanian) oak barrells (20% new), and comes in at 15% alcohol, which is certainly on the high-end. Blackberry and plum abound with a hint of pepper and some noticeable tannin. There is a lot going on here, but the wine is seamlessly balanced—the alcohol is held in check by all that fruit and structure. I have said before that I love old Zins, and this is one that would no doubt be doing well 10+ years from now. Outstanding. 90-92 Points. 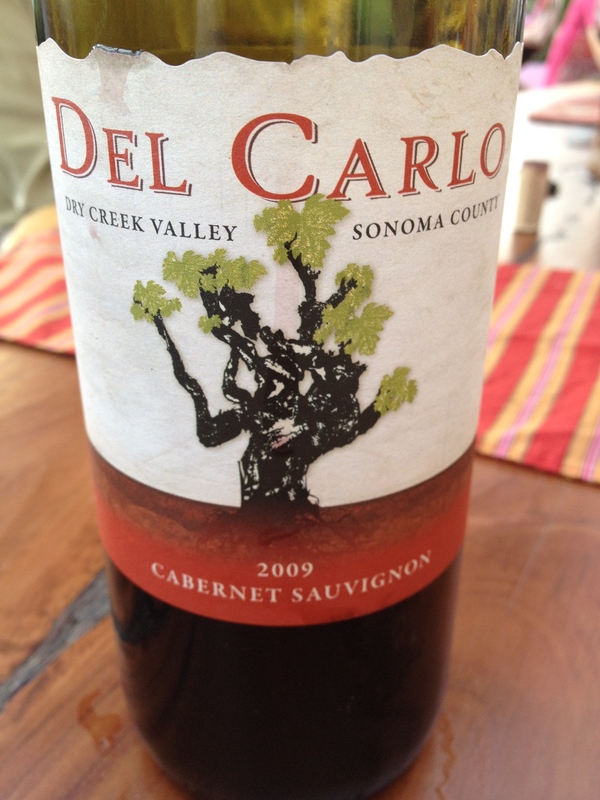 He later poured the 2009 Del Carlo Cabernet Sauvignon (Retail $30). Ray used French oak for this Cab, 20% new, and aged it for 18 months. All of the fruit comes from the Home Ranch and is 100% Cabernet Sauvignon. Black currant and a bit of pepper come out of the glass with a bit of a swirl, and some black cherry and mocha are introduced on the palate. The acidity and tannins are wonderfully in balance, leading to a lingering finish. $30 for a Cab this good? That is practically stealing. Outstanding. 91-93 Points.